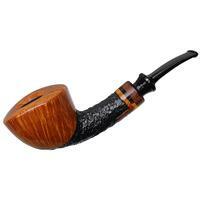 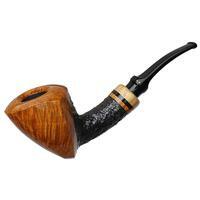 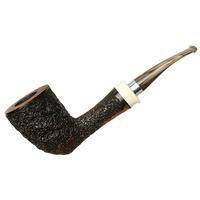 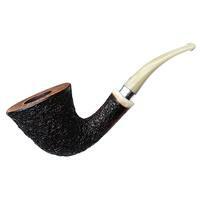 Typically when I refer to a piece as a "dress pipe," it almost always sports a smooth, all-black stain and is accented by some silver colored band. 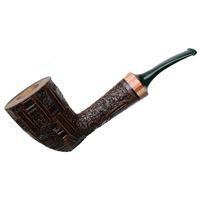 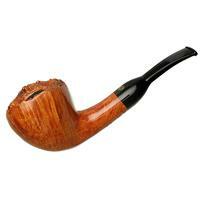 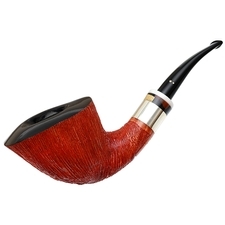 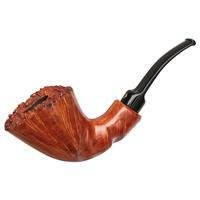 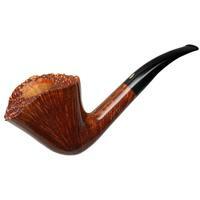 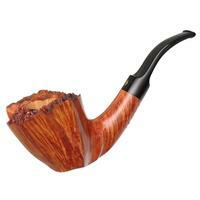 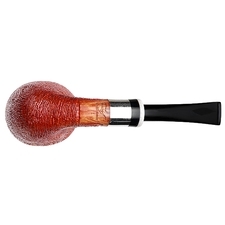 That being said, though, upon first seeing this bent Dublin from Winslow, dress pipe was my immediate thought, despite its red-brown, wire-brushed rusticated finish. 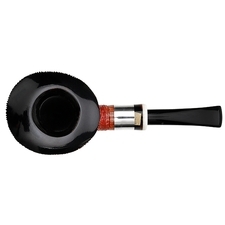 The black stained rim and black stem, paired to the wide silver shank band, though, give this piece an altogether stately disposition, made more so by its regal posture. 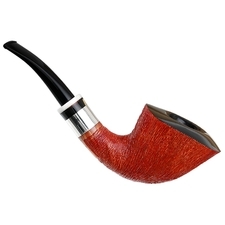 A certain standout in a room full of monochromatic dress pipes.